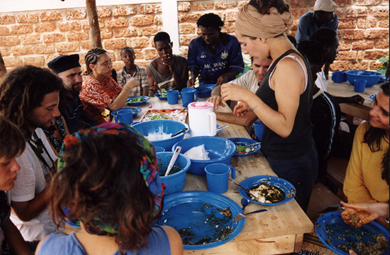 The Italian and Burkinese SIRABA Association in ten years has collaborated on various projects, cultural and socio-educational (development and research of festivals, intercultural projects, etc.). 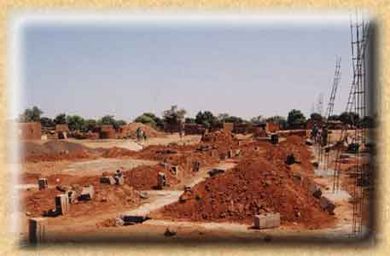 Amongst the more important SIRABA projects, the construction of the Centre "Desiré Somé for artisans and artists in Burkina Faso", a developmental center and meeting place for cultural exchange in the arts. 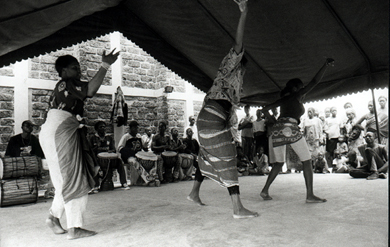 Its objective is the exploitation of culture and artistic tradition as tool to reach a new awareness of one's own culture and other cultures through formative activity and direct experience. SIRABA's project is addressed to local artists, in order to make them aware of their handicraft and artistic heritage and give them the tools so that they can express entirely their potentiality. 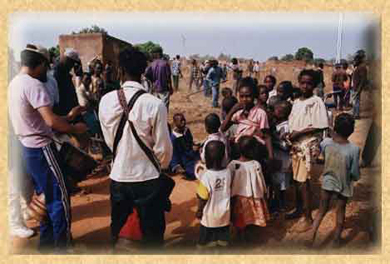 The choice to focus all efforts of the project on artisans and artists has a strategic meaning. These are in fact the depositaries of local traditions and represent the reference point for both town and rural community peoples; they can pass on the maturity reached and match with other cultures using the universal language of art. This intercultural course favours a mutual exchange of human and artistic experiences; rediscovering one's own cultural roots favours the capability to face the others and at the same time to act as active subjects of one's life. 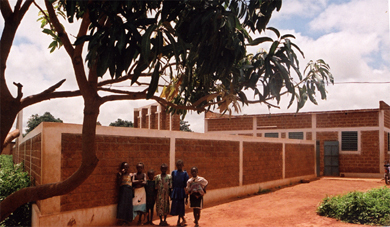 The Nando Peretti Foundation donated the funds for the implementation of the existing structures of the Centre "Desiré Somé for artisans and artists in Burkina Faso" (completing the boundary wall and building of 5 houses for about 15 people, according to the architectural projects of Architects without Borders - Italy) and more specifically for the purchase, transportation and the laying of photovoltaic panels together with the digging of a well (to grant a greater autonomy of the Centre and promote alternative cleaner and more economic sources of energy). 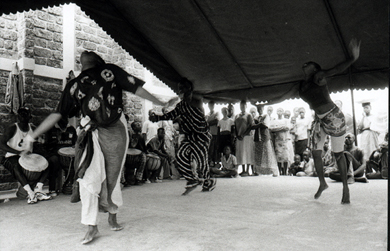 The project of the building up of lodgings, of a common house, of sanitary fittings and of a ring of walls for the "Centre de Formation Artistique et Artisanal Desirè Somè" is the second building phase of Association Siraba, which, in 2001, began its path creating a theatre workroom financed by ONG Mani Tese in Milan. The second phase , entirely financed by the NANDO PERETTI FOUNDATION , was started , in its preliminary studies , in September 2003 , after the approval of the Project. Between October 2002 - February 2003 the Association Siraba has attended to the architectonical plan, detailed to the utmost degree (walls and finishing: plants, appliances, wood-workings, facings, colours,...). Later on , the plan was subsequently examined together with Mr Kagone Ganda , a local civil engineer, who co-operated with Association Siraba in the previous building phase. 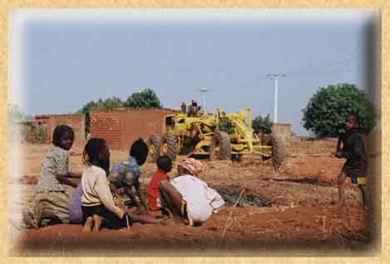 With the supervision of the engineer, the Association gathered local skilled workers (at least two people for each kind of work) chosen according to their ability in reading and carrying out the plan, to the expected costs, to their availability, to the work terms and according to a detailed estimate of costs. 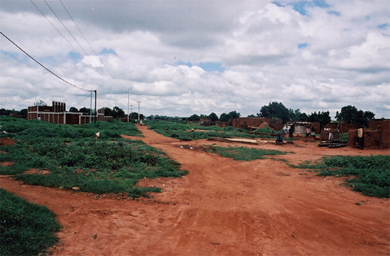 Notwithstanding the local delays, the plan obtained all the necessary approvals both from the institutions (municipality of Konsa, State Property Office, Town Planning and Architecture Office, Land Register Office, Fire Department) and from the traditional authorities (the elderly people of the District Committee). The purchase of the building materials were calculated taking into account the detailed timetable of the works, divided into stages, and from wholesalers, partly already selected in the 2001 building and partly chosen after a proper marketing research. 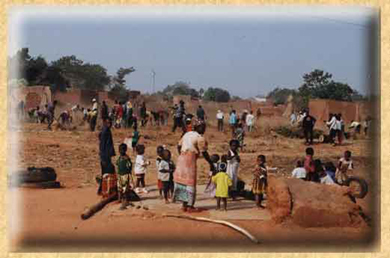 However the conflict in Ivory Coast created and will create a lot of problems for the supplying of the building materials (above all for iron and concrete), which must be bought in great quantities and when they are available, causing a great flexibility in the management of the building yard. The presence of the administrator on the spot allows to face all unexpected occurrences in time, but it also means also the need of a great sum of money available for the Association without any break. 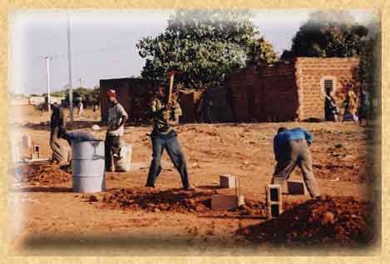 The building area was properly prepared within February 2003: the unauthorised houses on the spot were pulled down (the tenants, informed in advance, have found another accommodation in the same district and often come to see us). The differences in height were levelled and the ground was softened in anticipation of digging the foundations. Then, at the lowest cost, a small structure was built for the stocking of the most valuable materials (building materials and tools) and the team of the bricklayers laid out all the buildings in the presence of the architect of Architetti Senza Frontiere-Italia. 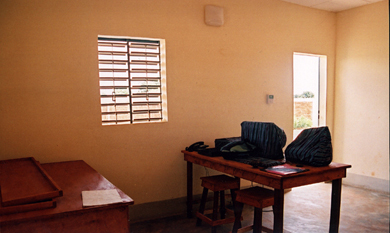 The following pictures refer to the completed structures.